We’ve been taught that in order to produce great changes in our lives we must apply significant innovations to equally large challenges. For example, we feel stuck in our careers and ask ourselves “why am I not moving up in my organization?” or “why can’t I seem to launch a business that makes money?” or “why am I underpaid?”. In these instances, the questions are massive and frightening. What happens if you don’t achieve the large changes? Frankly, you’ll feel like a failure. This month our team at MeVest started asking smaller questions about challenges each of us is facing; inspired by a Kaizen way of thinking – small improvements crescendo into large changes and efficiencies. One of our team members, for example, regularly asks why she can’t shed 10 pounds. For the past two years we’ve watched as she’s beat-up her self-esteem when the latest diet or exercise routine wouldn’t accomplish the task. So, she started with a smaller question, “why do I eat the same breakfast each day?” The menu consisted of two pieces peanut butter toast with regular salted butter and two coffees with cream. Each day, she became less fearful of these smaller questions and started implementing micro changes towards healthier breakfasts. When she succeeded at those, her confidence boosted and she started to lose the unwanted weight. 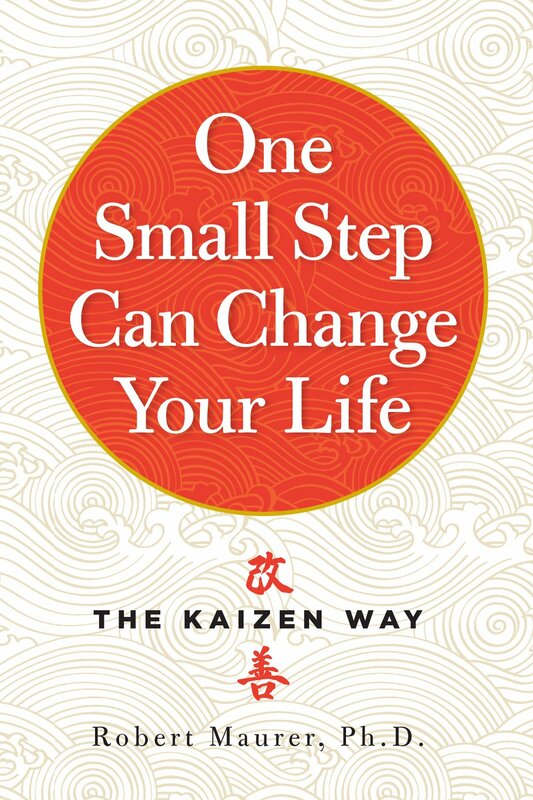 The book that has inspired us to start asking small questions about our personal lives and work is called One Small Step Can Change Your Life, by Robert Maurer, PH.D. We like the message in the book because it encourages us to take smaller actions towards our goals rather than trying to implement large sweeping changes, which we often fail at. Could you ask yourself a small question, rather than a huge one today? Could you make a tiny microscopic change instead of a big one? Could you walk a different route to work or say ‘yes’ to something small when you would usually say ‘no’? Try a small change. It might just change your life and your wallet. Lesley-Anne Scorgie is the founder of MeVest. She is the bestselling author of Modern Couple’s Money Guide, Rich by Thirty & Well-Heeled. She’s appeared on Oprah and is a popular columnist. Lesley-Anne has won Canada’s Top 40 Under 40 and Top 100 Most Powerful Women.